Parenting a young child, while often one of life’s most meaningful experiences, is also one of the most challenging. This can be made even more difficult when parents are also facing other stressful life events or difficult experiences, have a personal history of trauma or adversity, or are parenting without support. Mom Power is a program that supports families who are facing adversity and stress through the challenges of caring for young children, offering a strengths-based, nurturing approach to promoting resilience in parents and children. The Mom Power multifamily group provides a safe, trusting, and nurturing environment that allows families to learn and practice new skills. The 13-session group focuses on increasing parenting skills, connecting mothers to other mothers, connecting mothers to local resources, supporting mothers in using self-care skills, and supporting relationships between mothers and their young children. The group uses an attachment-based framework with a metaphor of a tree to support understanding of children’s needs. That is, when children feel safe and secure they can “branch out,” grow, and explore the world. In order to do this, they need a strong foundation, or roots, that support the branching out; these roots are built and strengthened through supportive interactions and connection with primary caregivers. Each multi-family group session includes a mealtime, playful activities between parent and child, and a period of time when parents and children participate in a separate group. Mom Power offers a closed group, meaning that the mothers who begin the group move through the 10 weeks together without the introduction of new members. This format provides the opportunity for connections to be made and bonds to be formed with a consistent group of parents without interruption. Individual sessions are conducted half-way through the group so mothers have the opportunity to meet one-on-one with a group facilitator to explore how the mother feels the group is going for her personally, as well as to discuss any additional supports she may need. Prior research confirms the efficacy and impact of the Mom Power approach. The model was developed in collaboration with mothers and other community stakeholders, and subsequent studies of Mom Power, including a community-based randomized controlled trial, indicate that mothers who complete Mom Power report decreased symptoms of depression and posttraumatic stress, increased feelings of competence in parenting, and increased ability to identify and respond to their children’s emotional needs. Research using brain imaging technologies reveals that mothers who participate in Mom Power show alterations in their brain activity that are consistent with a capacity for greater empathic responding to their own children. Taken together, results of these studies indicate that participation in Mom Power can help build the roots that allow parents to grow and thrive together with their children. 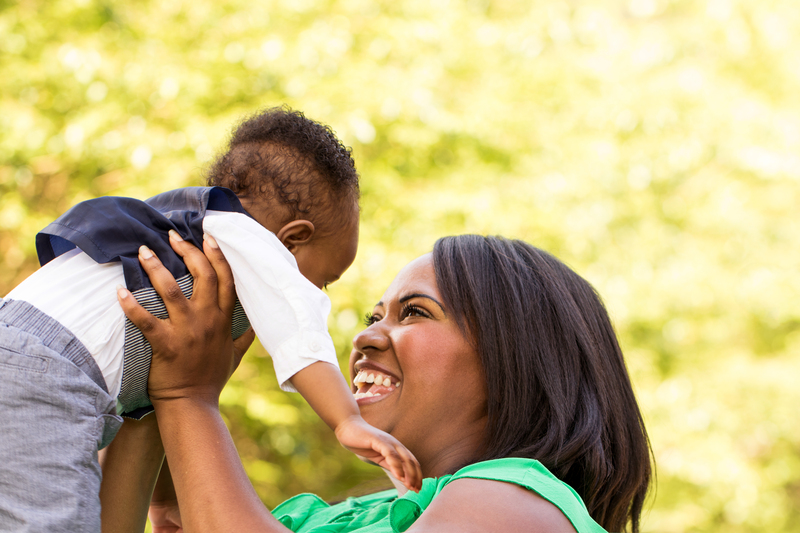 Given the demonstrated efficacy of this approach, the Mom Power model has since been adapted to meet the needs of other populations of parents/caregivers and young children. These include: fathers (“Fraternity of Fathers”), biological and foster parents (“Strong Beginnings”), early childcare providers (“Hearts and Minds on Babies”) and military families (“Strong Military Families”).